If you think Hadoop is not in your future, think again. According to a recent survey, 97% of organizations working with Hadoop, anticipate that they will onboard Analytics and BI workloads to Hadoop. When this happens, the companies that have disregarded the Big Data opportunity, may be left behind. The good news is that onboarding your Business Intelligence workloads to Hadoop is not as complicated as it used to be just a few short years ago. If you understand some key concepts, the transition can be a lot simpler and more successful - allowing you to recycle current skillsets, while avoiding both a rip and replace of your technical stack or replacement of business analysts with data scientists. In this interactive session, Matthew Baird, CTO and co-founder of AtScale, has Statistics and Computer Science double major from Queen’s University. He has built software and managed teams at companies like PeopleSoft, Siebel Systems and Oracle. He loves the open source movement, and building scalable, innovative enterprise software. 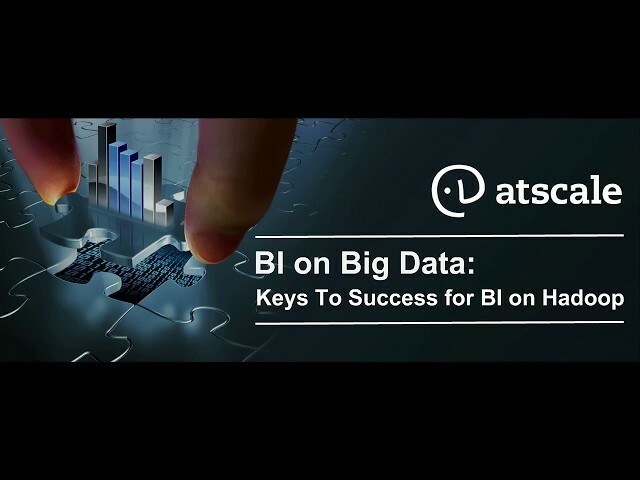 This session will also offer best practices on what to ‘DO’’ and a good set of rules in what Klahr calls the “Do’s and Don’ts of BI on Hadoop”.